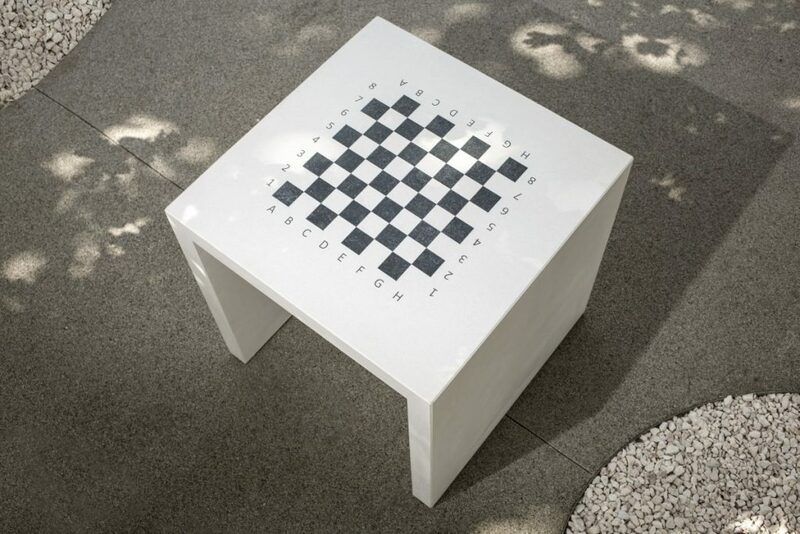 Durable concrete chess table with etched and coloured concrete graphics. 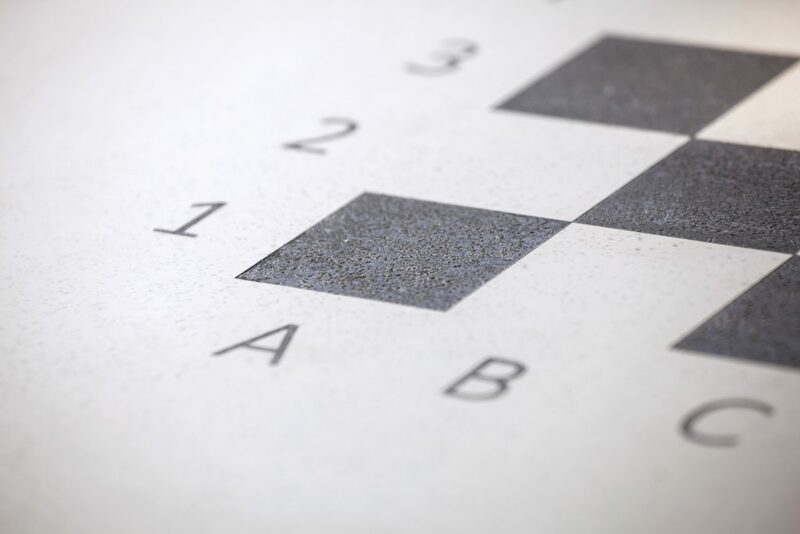 Due to its simple and subtle appearance, it fits well into any environment. 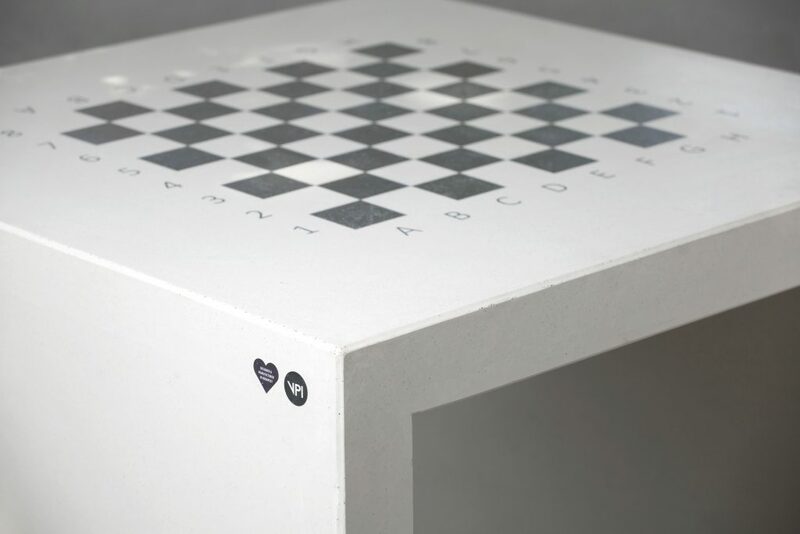 Playing chess is made easy by the extra space next to the board, which works as an arm support and storage for the chess clock and snacks. Due to its material and design, the table is particularly durable. 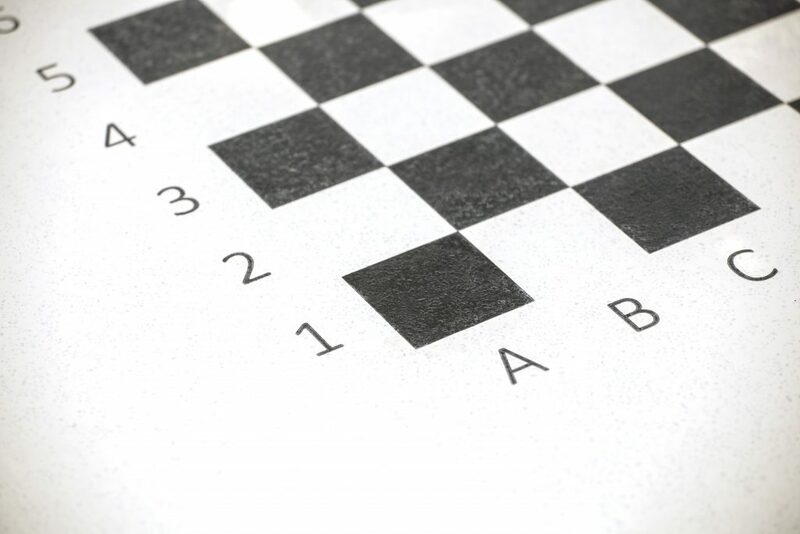 It is also suitable for professional games: the squares are labelled and are the same size as the ones on tournament chessboards currently in use.